Three Bermuda companies and three overseas companies have been awarded contracts to work on the new passenger terminal building, Skyport said today. Local companies Greymane Contracting, Correia Construction, and Sea Link Construction have been awarded contracts, along with Foursite Drywall of Canada, Apex Industries of Canada, and Fish Construction of Texas, USA. 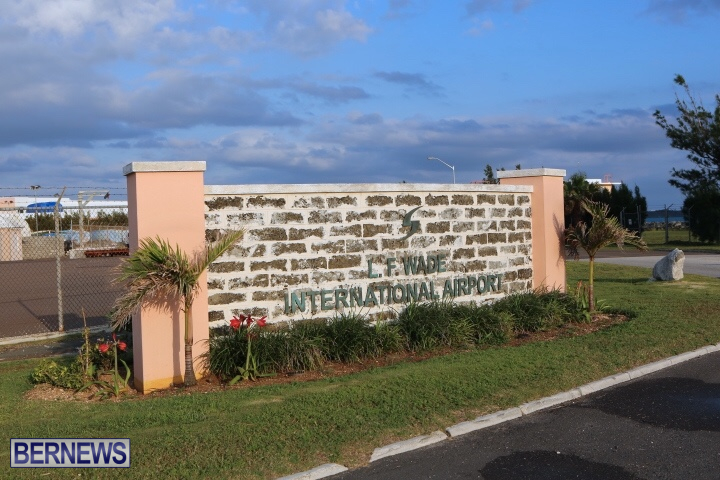 A Skyport spokesperson said, “Three Bermuda companies and three overseas companies have been awarded contracts to work on the new passenger terminal building at L.F. Wade International Airport. “The installation of drywall and metal ceilings in the new terminal will be a joint venture between Greymane Contracting of Bermuda and Foursite Drywall of Toronto, Canada. “Bermudian contractor, Correia Construction, has been selected to install masonry blockwork and concrete walls, while the contract for placing and finishing the concrete for the main floor slab of the Passenger Terminal Building was awarded to local contractors, Sea Link Construction Limited. “Supply of doors, frames and hardware has been sub-contracted to Apex Industries Limited of New Brunswick, Canada while the supply and installation of airport millwork that includes all of the counters in the new terminal, has been awarded to Fish Construction of Texas, USA. Frank Ross, Aecon’s Executive Director, Infrastructure, said: “We are excited to be working with fantastic local and overseas sub-contractors on the Airport Redevelopment Project. I thought this was being built by foreign Canadians and that our “birthright” as Bermudians was being violated as a result???? Nice to hear, unlike de Airport which didnt go out to tender.